Limestone is the most technical of the polishable stones. Polishing limestone is the best way to seal and protect it. Limestone has unique challenges that can cause serious problems. We recommend if you are considering a new stone installation, do not choose limestone. 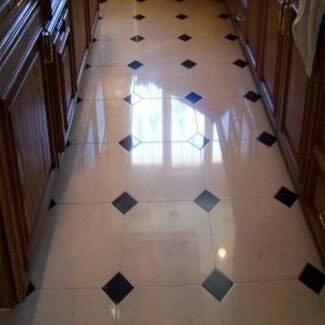 However, we have developed a specific limestone cleaning, polishing and sealing system. Custom polish compounds give us an advantage over our competitors. In certain applications, such as outside, our sealer has a completely different chemistry and seal in a different way than over-the-counter sealers most use. Sealer guaranteed to never cause a problem. After a time, the pressure of the ocean water, as well as the evaporation of the ocean water, binds these materials together to form a Limestone. Limestone is generally white to gray but can have different colors depending on other materials deposited when Limestone is formed. Limestone is very soft and subject to staining and etching. In ancient times, Limestone was the most common stone building material. 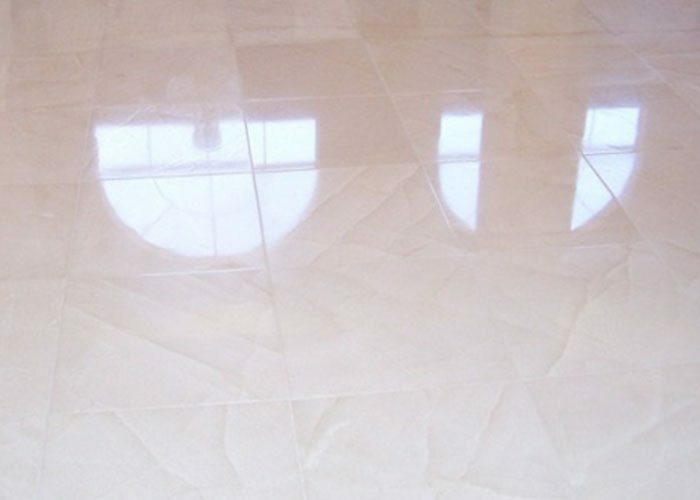 In the present time, it is most commonly used as block building material, slab counters, and flooring and wall tile. Limestone is not recommended for floors and walls. Because of its absorbent nature and softness, it is not the best option for counters and flooring with high usage. Much more durable as well as attractive alternatives are Porcelain tile, Travertine stone, or Marble for floors. Granite slab is the best choice for stone counters and vanities. 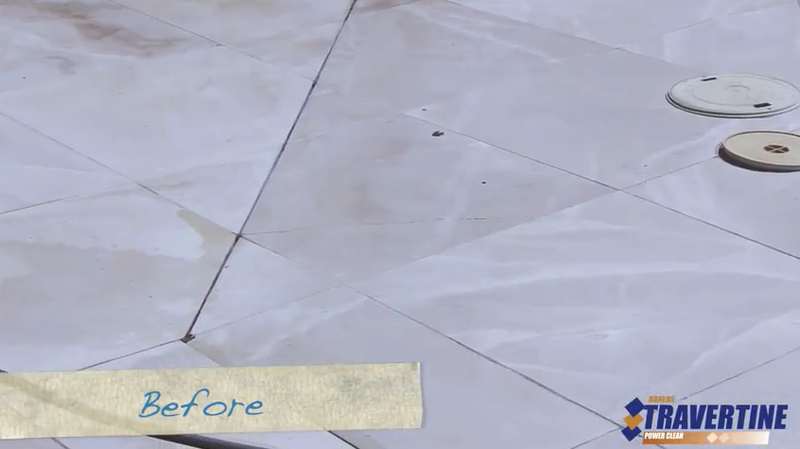 The cleaning, finishing, and sealing methods for Limestone is similar to what we do for Travertine and Marble. Limestone is sometimes thought to be Marble or even Travertine, but it’s neither. 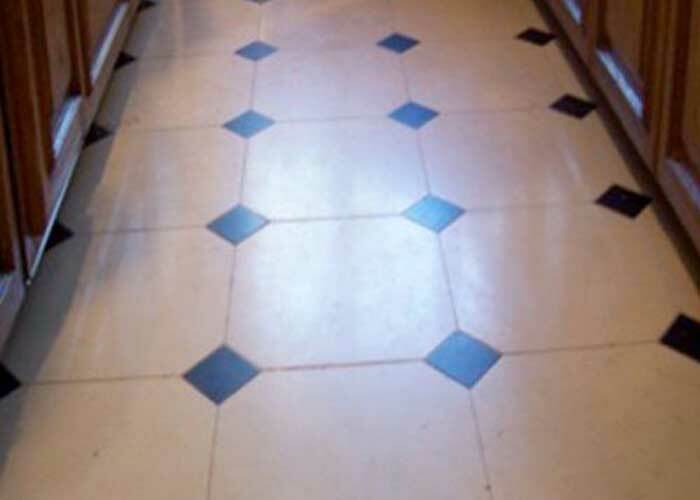 Limestone is a tricky floor to finish due in large part to being a softer stone. Knowing the right abrasives to use is key to a good result. 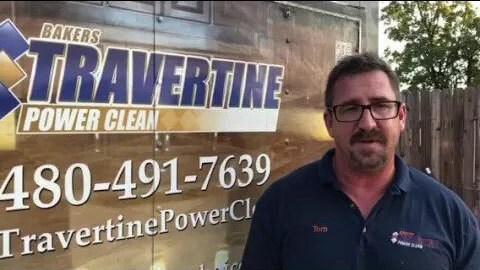 The Power Clean System for Limestone floors utilizes a light custom abrasiveA substance used to sand, scour, scrub, smooth or polish by removal of the original material. The amount of material removed is determined by the size of the abrasive particles used (ie: grit) Sandpaper, scouring powders & steel wool are examples of abrasives. to remove light scratches and etches. 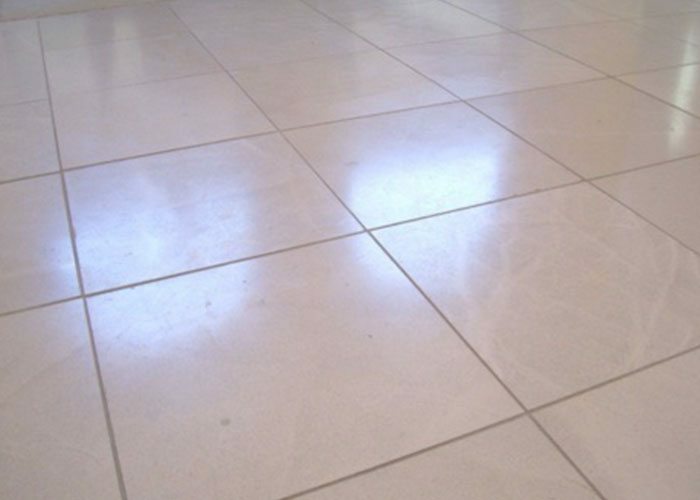 Generally, Limestone is factory polished before installation, but even new Limestone floors may need to be re-polished due to the standard installation process. We sand the floor to a satin glow, custom medium polishA custom finish that is definitely a shine, but has no defined stopping point. 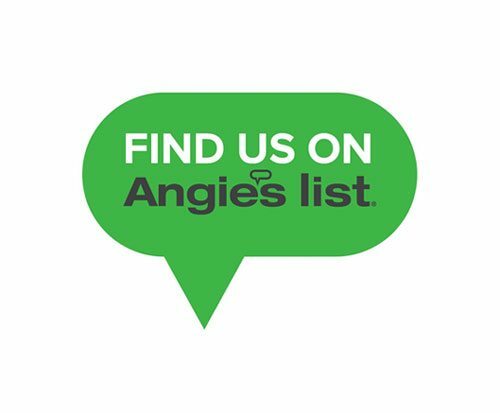 The shine level can be adjusted to be less or more shiny depending on homeowner taste., or a super high polishUsing abrasives to make the stone surface so smooth that it reflects light that results in a clear shine, depending on the customer’s preferences. Limestone is more absorbent than Marble or Travertine, although all natural stone is porous. Limestone’s capillaries, which are similar to microscopic straws, will pull water deep into the stone and cause permanent damage including etchingDulling on the surface of the stone resulting from acidic spills. Such as, lemon juice, soda, wine, vinegar, etc. When an acidic solution comes in contact with the stone, a dull spot is the result. The acid “eats” the stone leaving dullness, or etching behind. Penetrating sealers help to reduce severity of etches, but cannot eliminate them. Depending on acidity, some liquids can etch immediately, such as wine, where milder acidic solutions may not etch with proper penetrating sealing…. More and staining. 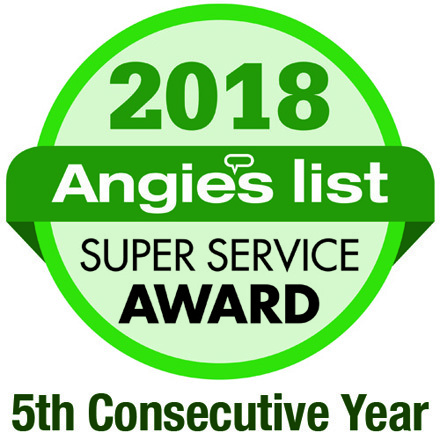 Baker’s Power Clean uses only the best penetrating sealant, which prevents damage as much as possible, but even top quality sealant cannot fully protect forever. 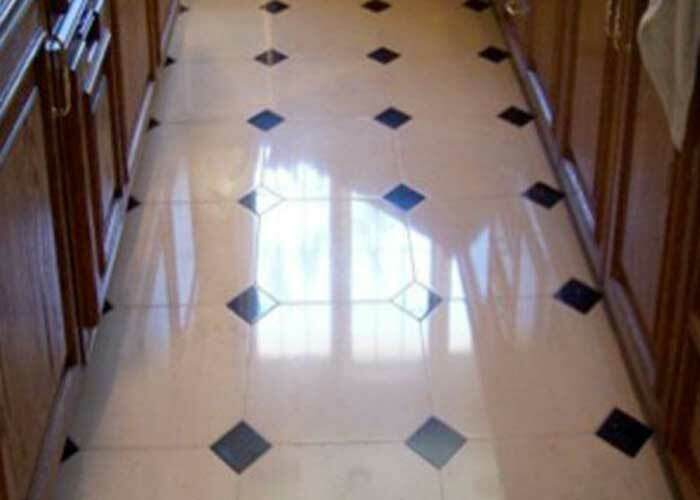 If your floor is damaged, you may require a more extensive abrasiveA substance used to sand, scour, scrub, smooth or polish by removal of the original material. The amount of material removed is determined by the size of the abrasive particles used (ie: grit) Sandpaper, scouring powders & steel wool are examples of abrasives. process to restore it before the finishing process is commenced. Before: Limestone is dark and dingy with dirty reflection. After: Much cleaner and bright with clear reflection. Very elegant.